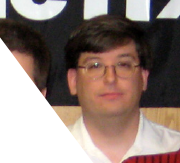 Bill Voltz graduated with degrees in Electrical Engineering from West Virginia University. In the two decades following his graduation, he filled several instrumentation, project management, and engineering management positions before landing as a design engineer with Compunetix in 1994. 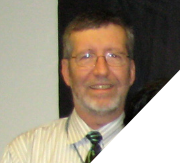 In 1995, Bill was promoted to program manager within the Communications Systems Division. He worked on a large FAA contract, assuring the project was done in time and to specifications. In 1996 Bill was assigned to the newly created role of Manager of Field Services with a team of only three engineers. Over the course of the following 20 years and as the position and responsibilities changed to meet market and customer demands, he transitioned to his current role as Director of Customer Services with over seven employees in various support functions reporting to him. Bill’s most valued experiences with Compunetix involve collaborating with customers to solve their hardware and software issues. “Thank you to the customers and their helpfulness throughout the years. It’s been fun!” states Bill. Upon his retirement, Bill plans to spend time with family and catch up on his reading. Congratulations, Bill, on a well-earned retirement! Greg Nesbitt has been a staple of the Compunetix Customer Service Team for the past 18 years and will be taking over for Bill Voltz as the organization’s new Director of Customer Services. Greg graduated from the Rochester Institute of Technology with a degree in Electrical Engineering. Wanting to return to his hometown of Pittsburgh, Greg accepted his first job with Compunetix within the Customer Support Group and has been with the company ever since. He has worked directly with customers 90% of his time, and appreciates the challenges customer support provides. “I never know what I’m stumbling into each time I answer a call – it could be anything from an equipment issue or a customer wanting to discuss the nuances of a training manual,” Greg explained. respectful and treat customers in such a way that they respond on a peer-to-peer level. Good luck in the new role, Greg! As always, Compunetix customer support is available 24 x 7 x 365. Contact 412-357-4876 or email csdsupport@compunetix.com for immediate assistance.